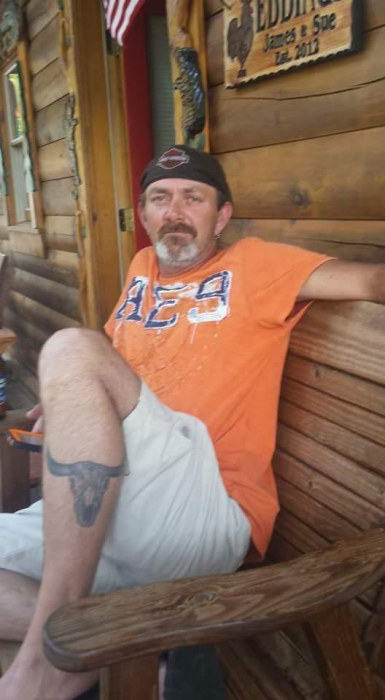 Randy F. Asberry, 50, of Lancaster, KY passed away on Saturday, February 9, 2019 at home surrounded by family and friends. Born April 15, 1968 in Harrodsburg, KY to Lizzie Moore Asberry and the late Stanley F. Asberry, he was an employee of Team Fishel where he worked as a heavy equipment operator for over 10 years, and was a member of the Pentecostal Faith. He loved the outdoors and spent his free time hunting, fishing, and riding his motorcycle. In addition to his mother, survivors include his wife, Virginia Asberry of Lancaster, KY; two sons, Zachary Asberry, and Randall Grant; two daughters, Chelsa Grant, and Kayla Hamilton; three brothers, Jeff Asberry, Danny Asberry, and Rodney Asberry; four sisters, Rhonda Miller, Shonda McQueary, Karen Tinsley, and Wendy Asberry; four grandchildren, Elizabeth Caddell, Nevaeh Hamilton, Heaven Hamilton, and Bryson Asberry; and many nieces, nephews, and friends. Visitation will be Tuesday, February 12, 2019 from 5-9pm at Spurlin Funeral Home Chapel, Stanford. Funeral service will be 1pm Wednesday, February 13, 2019 at the funeral home with Reverends Gene Sneed and David Thomas officiating. Burial will follow at Buffalo Springs Cemetery in Stanford and casket bearers will be: David Sowder, Scott Sowder, Dakota Goins, Vandell Howard, Steven Goins, Dallas Sheffield, Phillip Allen, and Jimmy Asberry. Honorary bearers are: his nieces and nephews, and his teammates of Team Fishel.